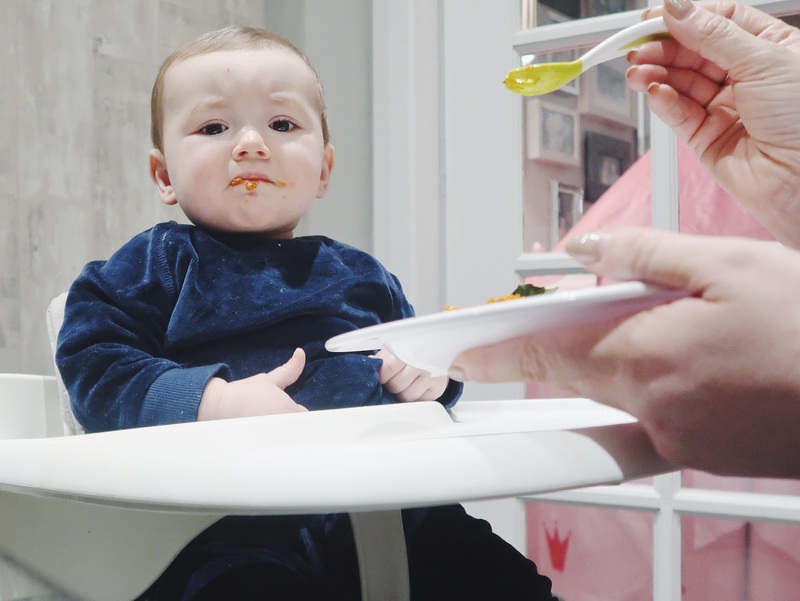 From the moment you even think about the 'weaning' your baby you instantly worry about the possibility of having a fussy eater. I know I did anyway. 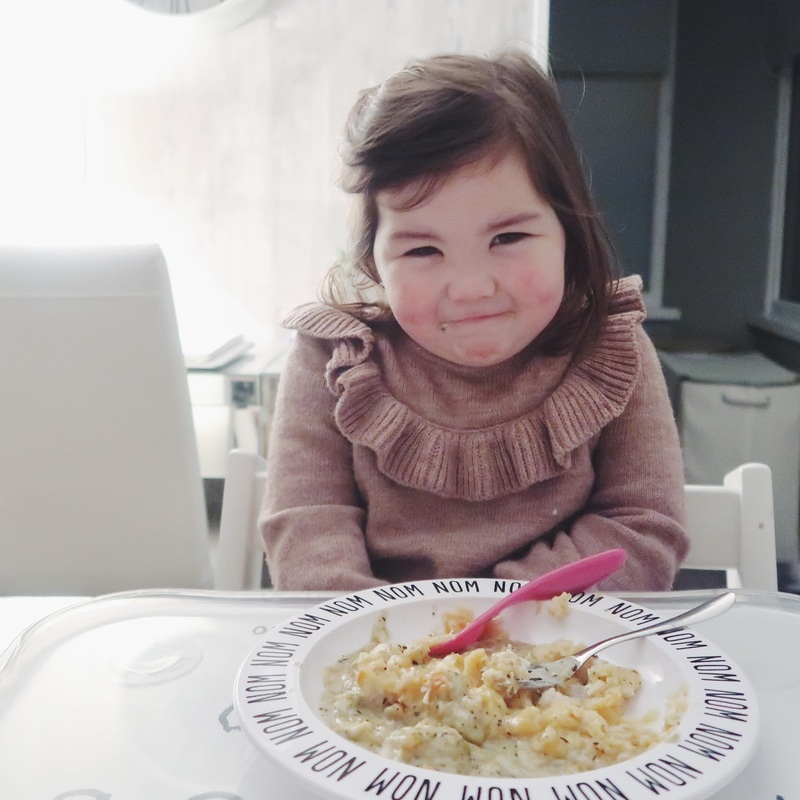 Being a particularly fussy eater myself growing up, I dreaded my children would be the same. However I seemed to have struck lucky with Ella since she would pretty much eat anything and everything in sight with no complaints. People would remark on how wonderful she was with her meals and that for such a small child her adventures with food and taste were almost limitless. Although I was always immensely proud of her progress, part of me always knew that this was just the honeymoon period. As an Aunt to older children, I remember that they always seem to go through a fussy stage - or rather realise that they can say the word 'no' and use it as and when they please. More notably at the dinner table - a favourite. 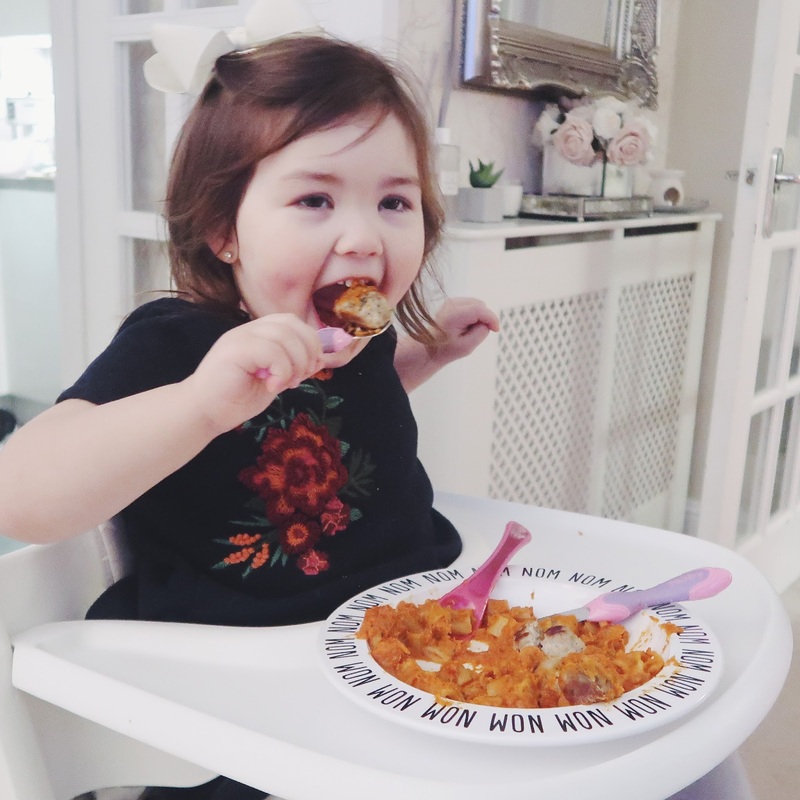 With Ella turning 3 this Summer we are in prime 'Fussy Eating' territory meaning we were ultimately in the best position to put her to the Annabel Karmel 7 Days of Meals challenge. 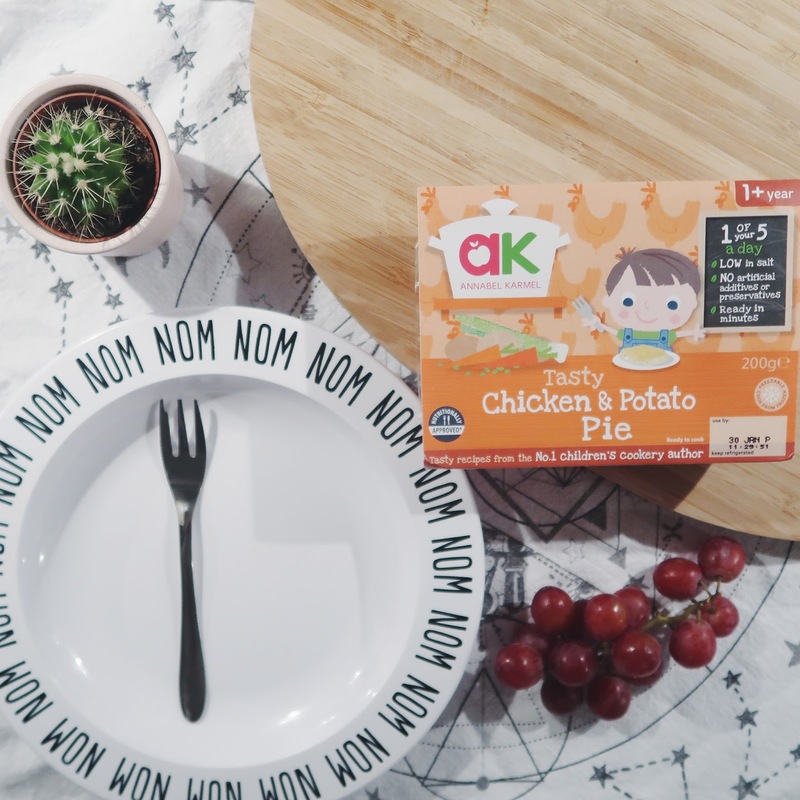 Annabel Karmel has developed a range of healthy and nutritious chilled toddler meals that are not only balanced and delicious but they contain at least one of your child's 5-a-day. 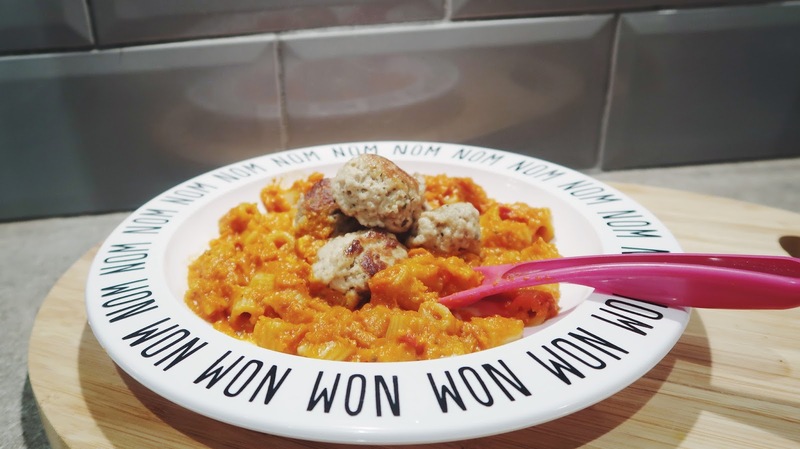 Each meal is free from artificial preservatives and have also received an added seal of approval from leading nutritionist and dietician Sarah Almond Bushell. 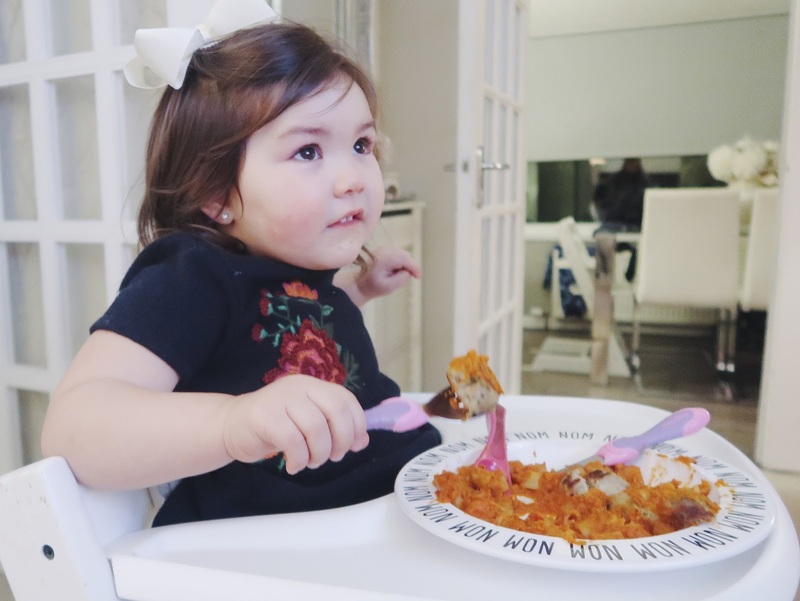 The meals are super conveniently made in the microwave, meaning that even on the busiest of days your kids will still get the best out of meal times. 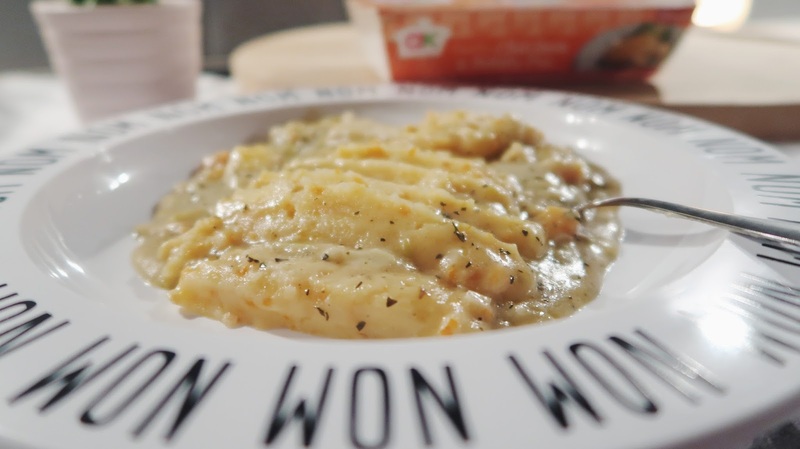 Healthy meals made with convenience usually suggests a sizeable price tag so I before I show you our weekly food diary & thoughts I wanted to let you know that the meals are on promotion just now in tesco for just £2 (CLICK HERE)! They're suitable for freezing too so stock up! We have a routine in place where Ella stays overnight with her Grandparents every Sunday until dinner time on the Monday evening. Where I can I like to try and lighten the load for them & leave her with a meal for them to easily prepare for her so they can have optimum time playing and spending time together. I sent over the Mild Chicken Tikka with Rice which was a complete hit. In my Mum's words 'she scoffed the lot'. I was really impressed by the portion size and the amount of chicken in the meal. It was reassuring to know that she is getting enough protein in her diet as it can sometimes be a struggle to have her try some meat. 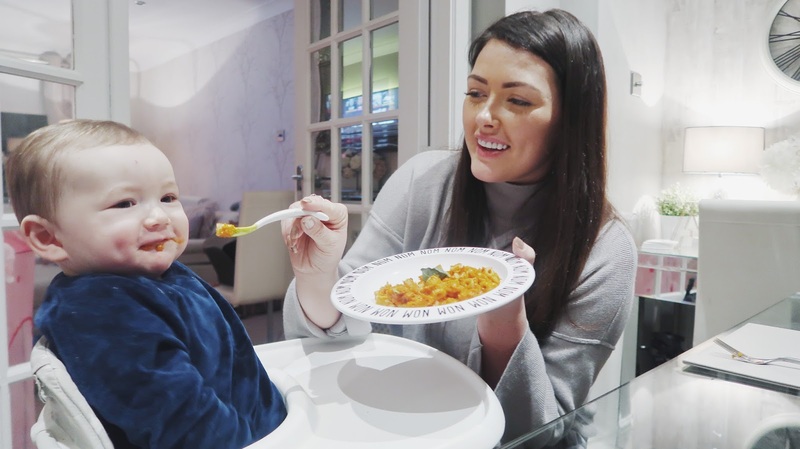 We often have curries at home and Ella is usually fairly curious to try some but the outcome is more often than not that it's 'too bicey' (spicy) for her so I'll be repurchasing these for those occasions when we are having a curry at home or maybe a takeaway so she doesn't feel left out. I knew tonight's dinner would be somewhat challenging. 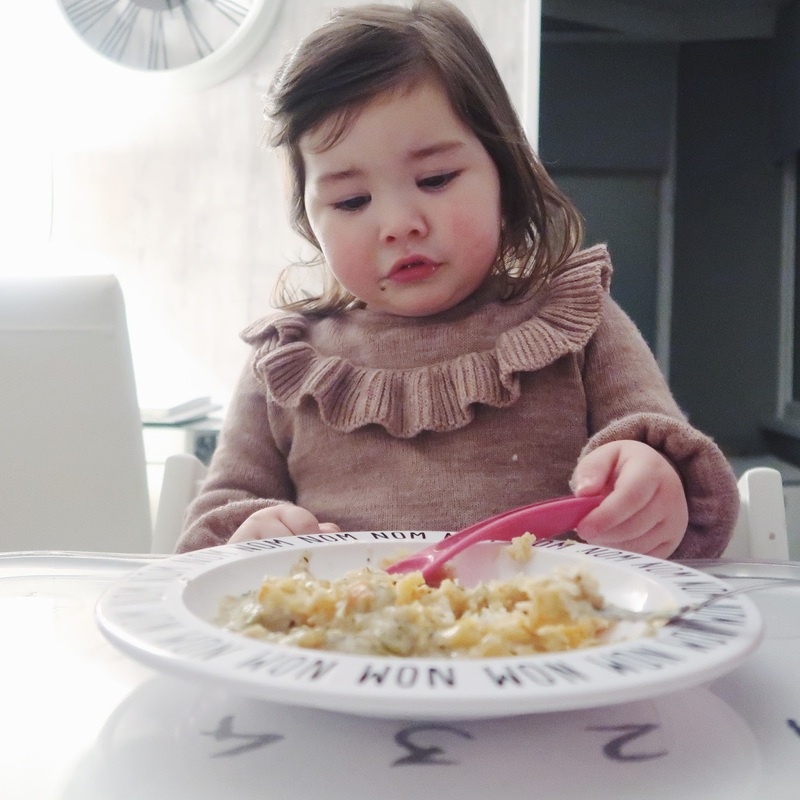 Ella is going through a fussy phase at the moment with mashed potato which is crazy because at one point it was all she would ask for! With confidence from the success of the previous meal, I delved in and tried her with Annabel's Tasty Chicken & Potato Pie and in all honestly she initially wouldn't entertain it whatsoever. Thinking it had been a complete flop I decided to give it to Charlie instead as he turns one in a couple of weeks, making the meals suitable for him too which is great! Low and behold as soon as little brother was tucking into her dinner she developed an appetite and gave it a good go. When kids are being fussy I think it's always important to be patient and understanding. Sometimes it's just down to personal preference and sometimes it's a battle of wills but I do tend to re-try the things she refuses on another day/week/month so she can have another go. Ella has always been much more interested in fish than meat/poultry which I found bizarre! I'm not sure if it's because it doesn't require as much effort and maybe by dinner time she just wants something easy to eat so I knew she would enjoy the Scrummy Fish Pie. Today we were really busy, it was one of those days where one minute it was breakfast time, I blinked, then it was dinner all of a sudden so I was thankful that the chilled meals take just over 2 minutes to make in the microwave. Charlie had the same meal too and they both devoured it, I think they'd challenged each other to a race that I wasn't aware of!! We had friends over for dinner tonight which usually spells disaster for Ella's meal time as she's either practically cartwheeling round the living room in a bid to show off or she's playing with their little boy and our house turns into a toy shop! To put it simply, eating her dinner isn't exactly top of her to-do list. That being said, she did give her Tomato & Marscapone pasta a good shot. I think it was more a case of 'If I eat this quickly, I get to go back & play again' and that's what she did. From a Mummy's perspective I was delighted as there are hidden veggies in there & she was none the wiser - that's definitely a WIN in my book! Is it bad that I had MAJOR food envy with Ella's Lovely Beef Lasagne tonight? I'd have been quite happy if she refused it because my meal would have been sorted... no such luck - she loved it. For us, this was a bit of a breakthrough. We have been really struggling to get her to eat pasta after going through a rocky patch. We managed to get her to go back to eating pasta shapes but sheets? They were a big No-No. I remember one day she literally made herself sick from being so repulsed by the lasagne I had given her. It's not the ragu that's the issue it's the large pieces of pasta she can't stand so when she contently tucked into her meal I was scared to even commend her as I didn't want to break her concentration. She told us it was yummy when she finished and we applauded her amazing efforts. That is definitely one for the repurchase list! If you follow me over on instagram (HERE) then you'll probably already know how much of a huge meatball fan Miss Ella is. Not only does she snack on them and have them as part of a meal but she also makes them in her play dough kitchen so they absolutely hold a dear place in her heart! We had one of those kind of Saturdays where Lunch and Dinner kind of merged into the one thing so I bulked out the Tomato and Marcapone pasta with the Mighty Meaty Bites which are already a firm favourite here. These ones are made with pork, beef, apple and seasoned with thyme, garlic and black pepper but there's also a Chicken bites option too. The great thing about the pasta dishes is that the sauce is lovely & thick so she could manage to eat relatively neatly without dripping it everywhere. It also gave her a great dip for the meatballs too. We had plans to go out with friends for dinner on Sunday so both Ella & Charlie has some Chicken Bites along with crackers and some grapes, picnic style for their lunch. I love making them their own little mini buffet on a plate with lots of selection. The Chicken Bites are so soft making them a great option for Charlie and only take 40 seconds in the microwave to heat up so it's the quickest lunch ever. They would also make for a perfect sandwich filler if you slice them up or a great addition to any kind of pasta dish. Clean plates all round! We have always been massive fans of Annabel Karmel - from the cookbooks with great advice to the much-loved snacks that keep my kids quiet while I run a much needed errand. I went into this challenge and knew without doubt that I wouldn't be disappointed. 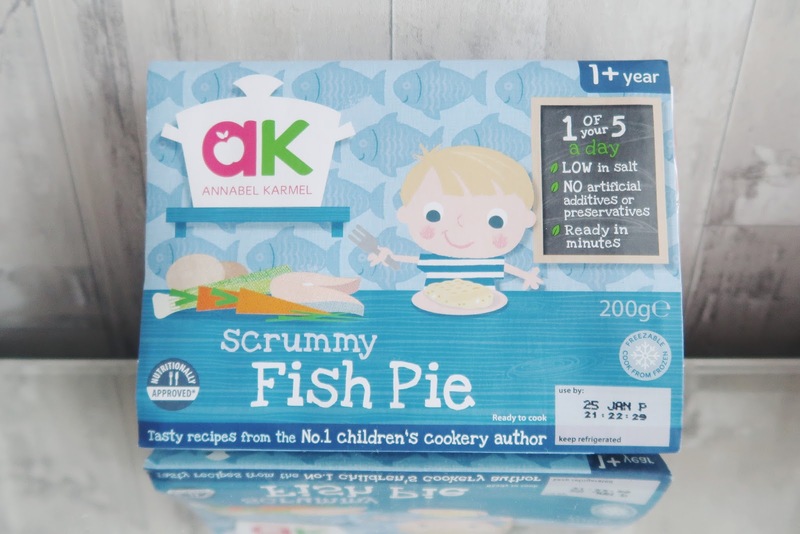 AK is a brand we have trusted right from the beginning of our parenthood journey and as they kids grow up I love that the options available to them are growing too. You can shop the range at Tesco here : www.tesco.com or in your local store where the meals will be reduced to £2 until the end of January. I'd love to know your experiences, leave a comment below or follow me on instagram @mamareidwrites to get involved with the conversation! 12 comments on "7 DAY FOOD DIARY FOR MY FUSSY EATER*"
I always made sure I had some of these meals tucked away. The cook book is pretty brilliant too! Nonspecific lower CBD oil for back pain pain is not caused by some specific or obvious reason. However, there are certain symptoms that are known to identify this kind of pain. Ask anyone in the street to list their Top 5 baked recipes items to put in a pastry box and a croissant is sure to be amongst them. Be it a plain croissant dripping butter to one filled with cream cheese and goodies the all time favorite is surely still the chocolate croissant. This extremely popular pastry ranks up there at the top no matter where one may live, be it a small country town or bustling city.